I recently held a fundraiser for my organization, Living Media, during which, along with the other activities of the evening I gave my typical slideshow presentation on what we do in LMi and why everyone listening should support them. After the program, as people were leaving, I had one woman come up to me and tell me how refreshing it was to see a slideshow that actually showed people working and actively getting involved in community development. She remarked how it’s not “typically what you’d expect from a charity type organization.” Although I cringe anytime the word “charity” is applied to my organization, I knew what she meant and I was glad that someone noticed. I was encouraged that our marketing was notably different than those that typically ask for donations to help people. It was especially nice because this was a woman who I know hadn’t read my blog and hadn’t really kept up with our organization before this night. So I knew that her comments were purely based on what she’d seen that night, which was nothing more than art, music, and people coming together to celebrate some beautiful things that are happening in Haiti and learning how to grow the beauty in those things. No pity, no guilt, no begging. No “for the cost of one cup of coffee,” no “donate or children die,” no “you can be a hero and change the world.” Sure, if I used those tactics, maybe my organization would be raking in the donations a lot faster, because those tactics work. That nonprofit that I wrote about a couple weeks ago brings in over $1 billion in donations every year. But what is the true cost of a human being’s dignity? I’m on my way back to Haiti right now and I know that when I get down there I will have to defend myself to my Haitian staff for doing the marketing the way I do again. When we are struggling to fund some of our core programs it’s sometimes easy for even our Haitian staff to want to throw in the towel and resort to whatever lengths necessary to bring in the bucks. So then I’ll tell them, “Okay, go put on your dirtiest, poorest looking clothes, rip some holes in them if you can, and gather around all of your younger siblings, and cousins (we’ll call them siblings) and have them put on their crappiest clothes, or even better, just bring them naked. And we’ll go to the driest, saddest place we can find and take photos of you all frowning. Then we’ll tell everyone how miserable you are, and how you need saving because your lives are in danger. Oh, and then we’ll inflate some Bible verse with a sense of duty so people know that they’re disappointing Jesus if they don’t donate. That’ll work great at Christmastime because no one wants to disappoint Baby Jesus.” Doesn’t sound like such a good idea now, does it? Figuring out better solutions for representing those intended to benefit from our programs may take more time and we may have to go through some rough patches in funding because of it, but I still hold on to the belief that it’s worth it in the end. And my staff usually agrees with me when they look at the possible consequences of taking the easy pity route instead. They may not always be there to hear the comments like the ones from the woman at the fundraiser, but they always choose to be known as the talented, hard-working Haitians with tons of potential rather than the poor needy Haitians to be felt sorry for. When given the choice, wouldn’t we all choose the prior for ourselves? Unfortunately too many people in this world aren’t given a choice. They’re told by nonprofits “We’re going to help you, but we need to share your story with the people who can help us help you.” So they get their photos taken and they tell their stories, the most pathetic parts of which get quoted in the brochures and on the websites. That’s the lucky ones anyway. The unlucky ones get their photos taken by photographers hired by the organization to swoop in and snap shots without ever knowing the subjects but they might grab a couple words from a language they don’t understand, but just assume the gist is always that they’re crying out for help. I know because I’ve made money by being that photographer before. The good photographers pass on only the dignified images to the organization and permanently delete any others from their memory cards that could get misused at the subject’s expense. The good photographers only see beauty, whether through tragedy or celebration, but don’t even search for the pitiful and miserable that some nonprofits look to make money off of. It’s true that often people in poverty face extremely difficult circumstances, but the good photographers and the good nonprofit managers and the good marketing directors see the people behind the misery and they find ways to portray their vast potential as humans rather than their circumstantial misery. I did an art show once of my own work where a woman came up to me at the reception and said to me, “I like the work, but how come you never paint about the starvation?” Because that’s exactly what you would expect, isn’t it. But as I’ve said before, as an artist my job is to do exactly the opposite of whatever is expected. This is why I think more artists should become nonprofit managers. If we really want our world to change than we have to be willing to change our expectations and redefine the accepted limits between us all as fellow human beings. The “Feed the World” “Help the Children” and “Save the Poor” organizations have been trying to fix the world for ages and made very little change. If we want our outcomes to change than we have to change our methods and that begins in the way we view those we share this planet with. Maybe I’m repeating myself with all this. But maybe what I’m saying is worth repeating. Now at the end of another year maybe I can hope that next year brings something different to talk about. It’s time to be different. They say he knows all but not now. What else does he have to do but pray? Wait to see what we will do next. What’s he supposed to do? That we’ll change so tomorrow can be different. Although I’m not winning these awards, I still consider myself in the same category as these honorees and feel like I understand where they’re coming from. As I watch the show I wonder what I would say in an acceptance speech, the same way I imagine aspiring actors do when they watch the Oscars. I know how strange these people must feel to even walk up on that stage, in their fanciest clothing, in front of hundreds of people and on national television and have everyone applaud you. It feels upside down and backwards, because it was never about you. It’s in our nature as social innovators to be selfless and not want to ever accept the credit for our good deeds. More than any other profession I think that we are all very aware of the multitudes of people that it takes to ever accomplish a task or reach a goal. Whether we’re responsible for the original idea and the original motivation behind a movement, we still recognize that we could never really do anything good on our own and taking credit for any of it always seems like a betrayal to all who have served alongside us. I’ve always loved the story of the young Buddhist monk who was asked by his teacher to tell him something about himself and after a brief pause he responded, “Myself? My name used to be Me, but now it’s You.” I’ve felt like this is the attitude that we are either born with or come to adapt, those of us who are crazy enough to believe that we actually can make a difference. We’re the crazy type of people who will work like mad to do something great, but as soon as the spotlight is turned on we prefer to hide in the background and let others shine. We’re the crazy type of people that rather than fighting our way to the top, we prefer to build others up and celebrate in their successes. We’re the crazy type of people who typically don’t know how to take very good care of ourselves because we’re always so concerned about caring for everyone else. We’re the crazy type who all secretly wish for recognition for what we do, but as soon as we get it, we say we don’t deserve it, at least not by ourselves. Because we are the crazy ones who don’t define ourselves based upon our own individual existence but can only find meaning within our coexistence with others. This mindset typically runs contrary to the culture we must move through, especially here in the US, but it’s not like that everywhere. There are places in this planet where society determines the value of an individual not on what he or she accomplishes, but on how he or she interacts with the community around them. Identity defined not based off of one’s individual successes, but on how many other people are able to find success because of their relationship to that person. This has been one of the most difficult adjustments for me as I get used to life back here in this country is rediscovering identity as an individual separated from those who have contributed to completing the sense of human wholeness for the past several years. I know I’m sounding like quite the hippie here. I might as well grow dreadlocks, wear clothes made entirely of hemp, move into a tree and live off a diet of pot and foraged berries. But I really do have a point, which is this, if we are looking for role models, those who we call heroes, world changers, difference makers, they all seem to have one thing in common: an extreme resistance to seeing themselves as much more than a simple tool with which to connect others through a common spirit of hope. If we ever truly want our world to change, then may we all adapt such a reflection on who we are. May we reject ideas of “doing for” and “helping those” and “giving things” but rather evolve into a place where we can simply “be with,” “exist as,” and “live together”. You may say I’m a dreamer…(you know the rest). It’s that time of year when everyone’s making their top ten lists, and anyone who reads my blog knows how much I like a good list, so I’ve come up with my top 10 news stories of 2012 out of Haiti. This is my list of the ones that I’ve found most important or most interesting. I think it’s good to look back on the year in Haiti and look at everything that happened because even though #1 might be a overwhelming tragedy, we too often base our entire definitions on the most glaring of disasters while overlooking everything else that was noteworthy in the country. My top 6 all have come from the last 3 months, so either it’s just been an active time for Haitian news, or I pay more attention to Haitian news when I’m not in Haiti. I’m sure there are some from earlier in the year that I’ve already forgotten myself, but it seems most of the stories from earlier in the year were all about “Where did the aid go?” Not really news. Nonetheless, I hope you enjoy this list and maybe learn something as well. If there are other stories from Haiti that you found interesting from this year that I didn’t include, please add them in the comments. You can click on the links to read full news articles on each story. A week before Hurricane Sandy ravaged the US East coast, it had already swept through Haiti leaving more than 200,000 people homeless and at least 54 dead. Haitian president, Michel Martelly declared a nationwide state of emergency as the population prepared to deal with food shortages and rising costs of living in the wake of the storm which are still making things difficult. This is after Haiti already suffered from Hurricane Isaac in August which left as many as 24 dead in the country. In October the Korean clothing manufacturer, Sae-A opened a new factory in Caracol to much controversy. The factory employs about 1,000 Haitians so far and claims to employ as many as 20,000 in the next 6 years. This factory is the first to open in a large industrial park in Caracol which has been supported by Bill and Hilary Clinton as part of a plan to invest in Haiti’s economy under the label of earthquake reconstruction. The effort is also supported by celebrities Sean Penn, Ben Stiller, Donna Karan, and more. But Sae-A has come under great scrutiny for it’s sweatshop like labor practices and questionable treatment of employees and the plan itself has been criticized for it’s strange location and possible environmental concerns. 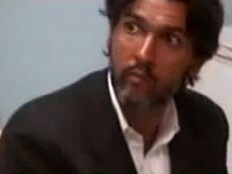 On October 22, Haitian police arrested Clifford Brandt, a wealthy member of the bourgeois, on multiple charges of kidnapping. Brandt was the leader of a notorious kidnapping ring in Port-au-Prince accused of multiple abductions and even homicides. The arrest of Brandt along with 5 of his partners in crime represented a large victory for the people of Haiti as it proved that the national police were cracking down and committed to justice on the issue of kidnapping, but it also illuminated a reality of kidnapping as organized crime in Haiti beyond just the perceived delinquency of dangerous thugs from the slums as often portrayed by the media. When Michel Martelly was elected president last year, one of his first promises to the Haitian people was that he would rebuild the Toussaint Louverture International airport in Port-au-Prince. Ever since the earthquake of January 2010, the country’s only major airport has been in critical condition with visitors coming into the country being received in a building that’s basically a large shed. Just last month they finally finished all of the repairs and renovations to the airport and held a joyous opening ceremony to mark the occasion. This is one story that I was following closely although may not have been that big of a deal on the national stage. Just a couple weeks ago the people of Jacmel took to the streets in a series of protests that included burning tires and roadblocks to demand justice for the murder of a local man and the kidnapping of a child. The protests were also for increased security in the city including better electric service. They seemed to have worked as the child was soon returned and the electric company responded with electricity later in the night, although the perpetrators of the crime were not caught. This is breaking news as it was just announced this week that Haiti will be making major changes to its legislation regarding international adoptions. The system is widely considered a broken one in Haiti with as many as 50,000 children living in orphanages in the country, but only 133 were adopted in 2011. With many children in orphanages that aren’t actually orphans and very few regulations enforced on how the orphanages are operated, many children end up suffering the shortcomings of this broken system. This new legislation could make the process for adoption more attractive to foreigners looking to adopt and bring a much needed change in what adoption means in Haiti. The l’Hôpital Universitaire de Mirebalais built by Partners In Health with the Haitian government, held it’s ribbon cutting on November 6 signifying the beginning of a long awaited effort to bring this state of the art medical facility to the Haitian people. A positive example of reconstruction efforts coordinated between public, private, and nonprofit sectors, the teaching hospital is now the largest and most technologically advanced in the country. It is planned to eventually be completely managed by the Haitian Ministry of Health as PIH has helped get it started. 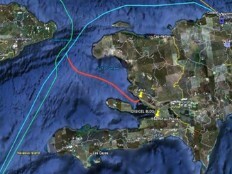 In March of this year, Haiti’s largest communications company, Digicel, announced it’s ambitious project to install a 200km underseas cable to Haiti to allow for improved internet connectivity in the country. With a telecommunications infrastructure that’s always struggled to keep up with the population’s evolving needs and abilities, as well as having been significantly damaged in the 2010 earthquake, this initiative by Digicel represents a huge step for keeping the country connected. With more and more educational programs in the country requiring students to use internet as well as much business starting to be done online, the cybercafes of the past decade will be insufficient for the country’s changing needs. This cable is a hopeful step towards something new. 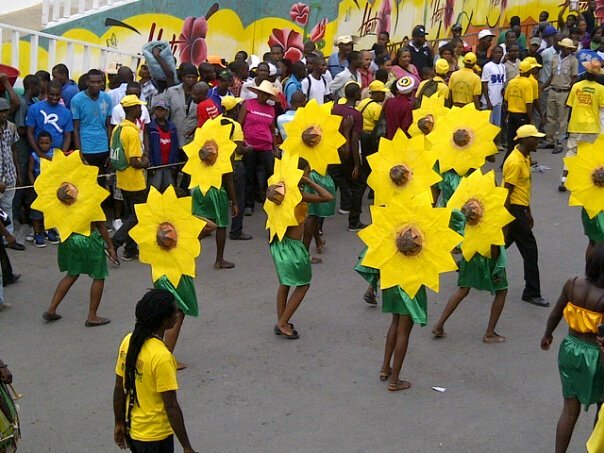 Different than the Kanaval annually held in February across the country, this year Haiti held Carnival des Fleurs again in July for the first time in years to celebrate the country’s beauty and productivity. Similar to the February celebration with parades and music and costumes, Carnival des Fleurs is smaller in scale and has more flowers and feathers rather than giant paper-mache demons, but still proved to be a huge occasion for the Haitian people to celebrate their culture and look towards a bright future. Implemented this year by President Martelly, who is a famous Kanaval performer himself, the event was intended to bring in a boost in tourism during the summer months as well, especially to a downtown Port-au-Prince which did not host an earlier Kanaval in 2012 as it moved to Les Cayes instead. This is the biggest news story from the year that never really was. In September the government placed a ban on the use of all plastic bags and Styrofoam boxes in an attempt to improve the country’s litter problem. These bags and foam products that are used by all street vendors to give their customers their purchased items or food to take away are then discarded in the streets and washed into the waterways and sewage systems. It presents a large problem, that the ban was intended to improve, but without acceptable alternatives available it has been nearly impossible to enforce. Bonus News Story: Dominican Salami Controversy My take here. An article in French here.